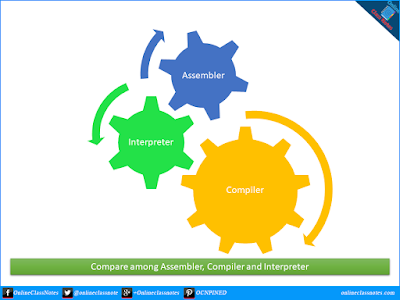 Assembler, compiler and interpreter are translator software but they are different mostly on how they translate. Compiled languages include C++, Pascal etc. Interpreted languages include LISP, BASIC etc.